Rookie rider Mohd Haziq Mohd Firus surfaced the fastest rider in the Yamaha Super Series PETRONAS for the 2015 season opening of the PETRONAS AAM Malaysian Cub Prix Championship here in Temerloh, Pahang. 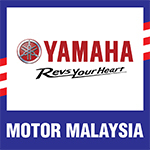 Riding the new, fuel-injected Yamaha Lagenda 115Z arranged for the series this season onwards, Haziq captured his best time in 50.981s to secure a safe spot on pole position. Also running a commendable Timed Practice session, first timer Mohd Azri Haris Abdul Fattah recorded just slightly 0.008s slower than Haziq to book second fastest while third fastest rider for the day was Imran Hadi Mohd Ismawi who managed 51.177s to start in the first row. The new machine coupled with a batch of fresh faces out of Yamaha Racing school promised a full season of tight competition, faster but in a more controlled environment as the Lagenda Z’s 4-speed gearbox proved easir handling for beginners.